Sometimes space is tight, or the ideal spot for your machine isn't quite as big as you would like. 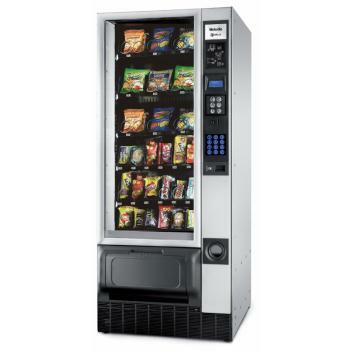 Our compact snack vending machines provide a great range of refreshments in a compact footprint. 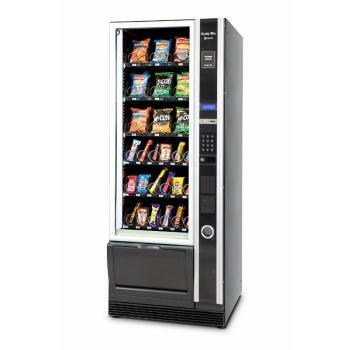 The Palma+ H70 snack vending machine offers a compact product display and increased capacity due to adjustable tray configurations. With easily configurable shelves and the ability to operate two motors simultaneously, the Palma has the capability to dispense larger products. 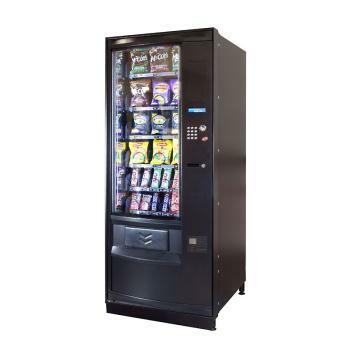 The Necta Melodia vending equipment is a compact snack vending machine, ideally suited to locations where space is limited in particular height. With a touch-sensitive keyboard and a branding option, the machine can be designed to match any internal environment or brand. Snakky Max Green ® is designed to be banked next to most machines, offering high quality snack and drinks vending solutions for a variety of medium to large environments. This great value yet stylish machine includes the ability to customise various combinations of products for an array of environments.